Is There a Link between Giuliana Rancic’s Breast Cancer and Her Fertility Treatments? There might be a thousand reasons for Giuliana’s breast cancer. To say that it is a direct consequence of her IVF treatments would be drawing simplistic and irresponsible conclusions. 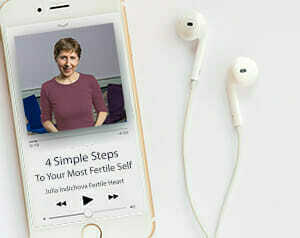 And yet Giuliana’s fertility story and the stories of the three women I spoke of in my recent blog– Liz Tilberis and Gilda Radner who died of ovarian cancer after years of fertility treatments and Wendy Wasserstein who died of a blood disease also after years of fertility treatments— are begging us to stop and pay attention. “So is this Perganol an insane thing to do?”. 1976 and then participated in a postpartum survey. The women were linked with the Israel Cancer Registry. A total of 1,215 women developed cancer. The 567 women who received drug treatment to induce ovulation had a 36% increased risk of developing cancer at any site. True, overall the research is inconsistent. A number of other studies point to no link between fertility drugs and cancer. So perhaps a better question to ask is this : Is it possible that anything that happens in our bodies is unrelated? How exactly do the dots in Giuliana’s story connect with regard to fertilitytreatments and their effect on her overall health, might never be revealed. But clearly her Holy Human Loaf like mine almost twenty years ago, was asking to be heard and that call for help was muted by fertility drugs and IVF. Is waiting for more studies the best thing we can do to guard our health? I think we can do better than that. Consider for example that the foods that boost our fertility naturally are also foods that protect us from cancer. No there are no guarantees that we’ll be immune. But we’ll be stronger to meet whatever health challenges life places in our path. The subtitle of The Fertile Female is How the Power of Longing for a Child Can Save Your Life and Change the World. There are many ways our unborn children are saving our lives. Mostly they’re asking us to stop, take a breath and make sure the next step we take isn’t guided by desperation or a need to silence the body’s call for help. Dear Giuliana, we here at Fertile Heart, wish you much much healing and strength on this next step toward meeting your baby halfway! And when you’re done with your cancer treatment, come to our Woodstock retreat! It’s nice here, we even have a brand new juice bar, Press & Blend! It’s not just any old juice bar, it’s one that makes cold pressed organic juices with maximum nutrient and enzyme content intact and all sorts of other goodies to support your healing. And most important: our Fertile Heart Sisterhood is here ready to cheer you on! I am sorry for Guliana’s cancer challenge. It certainly seems worthwhile to strengthen the body and try less potentially harmful treatments if possible. Thank you so much, Julia, for keeping that choice open. Julia, thank you for speaking out on such a vitally important topic. My heart goes out to Giuliana and all of the women out there who are fighting breast cancer (and all types of cancer), and for those that long for a baby. I think if anyone stops to think about it for a minute and asks themselves, “could putting these drugs, these foreign substances, in my body actually be hurting me?” the answer cannot simply be “no” – but instead has to be “maybe” since we really don’t have conclusive evidence. Although I am so happy for all of the women who were able to conceive and give birth via IVF, IUI and any other ART’s out there, I think we are doing a disservice to ourselves for not considering what we are doing to our bodies. I know of two people through a mutual friend who went through IVF and are now battling breast cancer. Possibly it’s a coincidence but what if it’s not? We cannot blindly trust that our doctors have our best interest at heart. I walked away from fertility treatments after undergoing 6 cycles of Clomid, 2 cycles of Femara and two IUI’s. My doctor suggested IVF for me, at 32, with a diagnosis of unexplained infertility. Going through the Fertile Heart OVUM work I know this is not the direction for me and my body is telling me to take another path. I do not judge those who choose the medical route, I just fear the consequences of what I have already done to my body and what I would continue to do with more drugs and treatments. We can certainly put ourselves in a better position of getting pregnant if we start looking inward and stop desperately searching outside ourselves for the doctor that can “fix” what’s wrong with us. We can easily forget that there is something mysterious and magical about bringing a child into the world. For some the journey to parenthood is long and arduous, but perhaps it’s also a blessing. What if we use this time to get to know ourselves and our partners better? If ART’s are not working then possibly the universe may be trying to tell us something. Stop. Breathe. Meditate. Ask yourself what feels right. What is your truth? Poor Guiliana. We are big fans of Fashion Police (a guilty pleasure) and this is such sad news. It’s very scary that she wants to start treatments again as soon as she is cleared. I wish she would accept your invitation, Julia. I didn’t know who Guiliana is? I had to google her. I do hope somewhere she stops to look at her life and her role in it in all of this. I am so unconnected to parts of the world right now by choice. I am immersed and am gravitating to that which feels it is coming from a truth and is nourishing and those are things that only you yourself can define. Our world somewhere terribly terribly lost that. As I watched this last night, I wondered the same thing. It’s definitely something to consider. The news broadcast that I saw also stated that she would be returning to fertility treatments just as soon as she got the green light. It’s really interesting that, like Suzanne says, people are very quick to say “just go through IVF to get your baby”. Like it can be picked up at Target beside the Ibuprofen. Noone thinks about the potential harmful effects of these drugs that may not surface for years from now. I never thought about it when I was entertaining IVF. It never occured to me that there could be a cancer link and my Dr. never mentioned it. I read an article about a year ago about another famous celebrity with aging ovaries that went through IVF too many times to count. I remember the article said she would “keep going untill it worked.” Obviously because money wasn’t an an issue for them they would keep going until it either worked or….her ovaries exploded? It did end up working. It will be interesting to see if she has issues in the future. I wish Guiliana well and if she is ready to try something new and exciting we will be here with support and encouragment. I just heard this news last night and had a similar thought. God bless her and all the women that you mention and those touched by IVF as it’s just so scary. I am sending healing vibes to women around the world affected by fertility treatment etc. I think that it’s worth pausing to reflect and that not many people are doing it in the quest for a baby. I have to say that it scares me quite a bit that it rolls off people’s tongues so easily-to just try IVF. Doctors, friends, whatever. And, i say that from my own experience as, at 6 months pregnant and working with you and fertile heart the whole way, i can tell you that IVF was something that rolled off of people’s tongues easily. And, I know my body well enough to know what it can handle and didn’t see it as an option for us. Personal choice. Sadly, other things like “are you looking into your health and emotional well-being?” …came much less easily from people. Oh wait, it never came! except from my fertile heart sister, you, this commmunity, my therapist and friends who were on same wavelength as myself in terms of personal growth. It’s not a criticism–i say that with sadness as it’s what i really wanted and needed and i think many women do vs. treatment after treatment. That the dialogue leans so heavily towards making invasive medical treatment breezy vs. self-reflection or pause in any way continues to scare me. It’s so American and so–something’s wrong, we have a treatment/pill for that! Here, take it quick and “we’ll get you that baby!” this out of the mouths of well-intentioned acupuncturist (who ended up being really horrible) and well-intentioned ob. God bless them but they were helping me reinforce my fears vs. giving me hope. I.e -i want it, i want it now, and i want somebody to give it to me. Thank god God and the universe made me wait and be with myself and with my husband and with my body. And thank you julia and all of you for supporting me along the way. 6 months in and healthy baby vs. all tests etc–I am SO grateful I can barely tell you. Now that i am pregnant and planning, i can say that people are much more excited to talk about “the hospital” and our “ob” and god forbid we should mention that we are going to a birthing center. As, birthing and getting pregnant seems to have become a medical emergency before we even know if there’s anything wrong. Natural processes, i believe, stop working naturally for reasons and whether i like it or not (and often i don’t like it! but given my choices, most days i would rather reflect on what’s up with me in my heart and mind that’s leading to physical than pursue my other options with the medical franchise). Don’t get me wrong, i have doctors, I use them where needed and see a need and i also have a naturopath, a acupunturist and myself to go to. Anyway, i am glad you bring it up. I wish Guiliana well and am grateful that you ask the question. People are not going to like it, which you already know but as women and people, if we don’t ask questions of ourselves and the medical profession etc–we are doing ourselves, our children and our world a disservice. that’s just my belief. I want to write you a million thanks. I want to recount every amazing thing you said to me, every moment I left our circle with more strength than I came with, every gracious thing you did for us… Mainly, I want you to know that you are a beautiful part of our story.